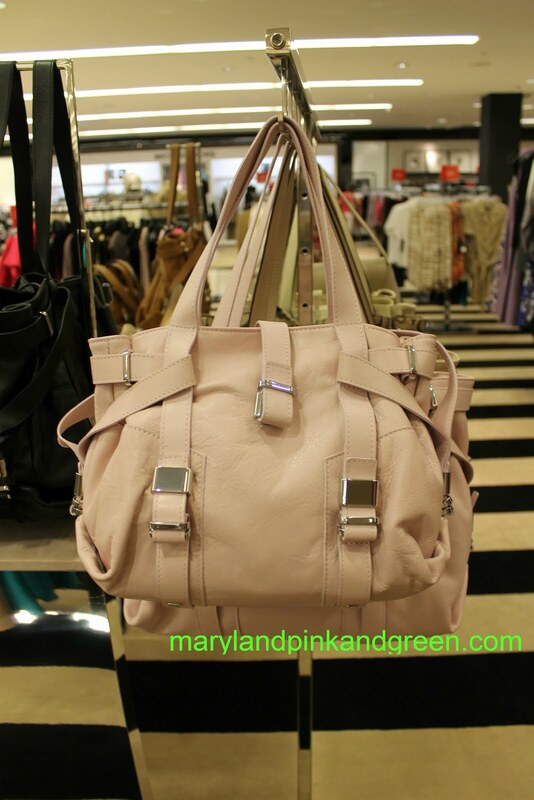 Maryland Pink and Green: No Waitlist with MPAG! After the Reiss Shola dress sold out and was re-issued and Pippa’s Shark Modalu bag was re-named and re-released, it became apparent that many people were following the fashion choices of the Middleton sisters. Items from Issa, Zara, and London Sole fly off the shelves. L.K. 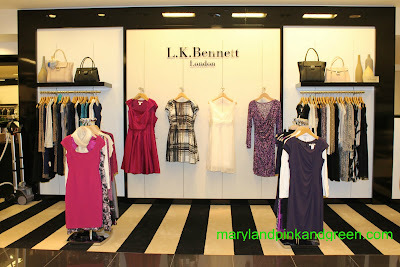 Bennett is a favorite choice for clothing, but the Middletons particularly like the shoes and bags from this London brand. Many of these items are nearly impossible to find, even online, but I found the place where you can purchase L.K. Bennett! Even if you’re not in the DC Metro area, you can place an order by phone. 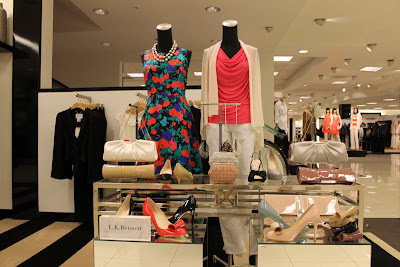 Remember those LK Bennett Greta patent wedges that Kate Middleton wore the day after her wedding? These are Kate’s go-to shoes and she wears them with everything from suits to jeans. Well, you can get a pair for yourself on this side of the pond! Of course, you can pick up the bag and belt, too! The patent leather espadrille wedges with have a woven sole and are moderately priced. Demand is extremely high for this re-issued shoe as there are long waiting lists everywhere and the shoes are expected to sell out quickly. Avoid the waiting list and go straight to my source! As I patiently wait until November for my Modalu Pippa bag to arrive, I am wondering if I need this gorgeous L.K. Bennett bag, too. The bag is sold out everywhere; I spied one of these on ebay at nearly double retail price! Pippa carries her Annina bag with her everywhere! It looks great with her Zara colorblocked dress. Side note...I had this Zara dress in my hand, pre-Pippa, but was not 100% sold on the fit for me. Ever since living in Mexico, I have a love/hate relationship with this Spanish brand. Love it for my minnies, but it's hit or miss for me. Getting back to gorgeous bag...it's available in pink and black in two sizes. The L.K. Bennett purse is incredibly versatile. L.K. 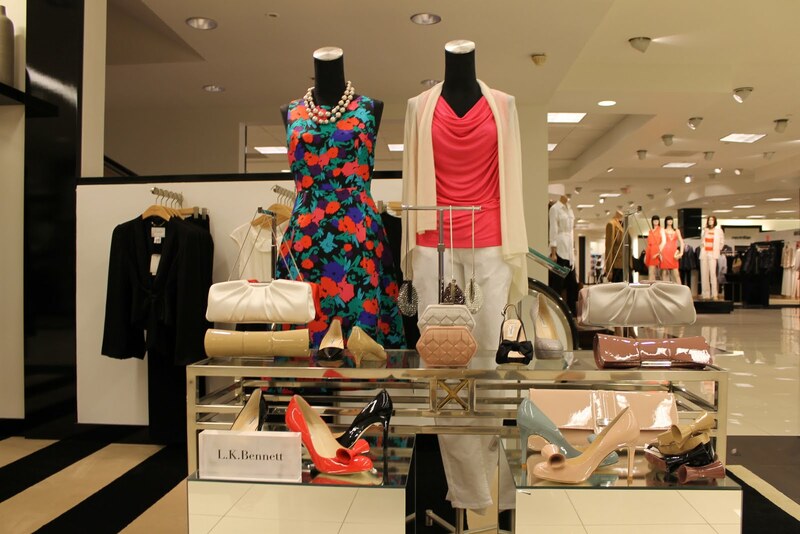 Bennett clothing and accessories can be purchased at the Tysons Corner Bloomingdales. Almost everything I saw had a full size run and the selection is outstanding. There are even some wonderful items on sale right now. Please ask to speak with Enny Rojas and tell her that I sent you. She's an expert and can offer valuable advice on sizing and fit. You can reach her by phone at 703-556-4685. Alternatively, you may send an email to her at ennyrojas@yahoo.com. L.K. Bennett is very difficult to find and is a favored brand of many well dressed royals including Princess Catherine and Princess Victoria of Sweden. Luckily for us non-royals, the line is affordable and gorgeous! Oh la la! I need a pair of those shoes! !